The education ministry has contracted a technology company to purchase 71,000 tablets in a new venture to digitise the schools of the country. 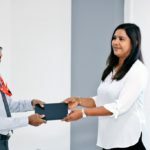 The education ministry has contracted a technology company to purchase 71,000 tablets for a programme to digitise the schools of the Maldives. 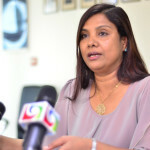 According to Mihaaru, the contract was awarded to Maxcom Technologies, a Maldivian company specialising in the retail of technology services. State Minister of Education, Ahmed Shafeeu, told Mihaaru that the ministry had already started training teachers for the deployment of the digitisation programme. “The tablets are for all the students and teachers. 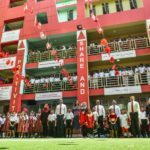 We started work to train teachers and children last year,” Shafeeu said. 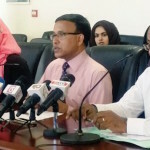 The government put aside MVR138 million (US$8.9 million) in the 2018 state budget for the digitisation programme. This includes the purchase of the tablets and the internet services needed to support the programme. The education ministry was not able to comment on the cost of the contract to buy the tablets. The Maldives’ oldest telecom service provider, Dhiraagu, has been contracted to provide the internet service and technology needed for the service, according to Mihaaru.